Three months after the National Assembly transmitted drafts of the 1999 Constitution Amendment to State Houses of Assembly, some houses have commenced debate on the bills. Indication emerged yesterday that the National Assembly sent only 15 bills to State Houses of Assembly for adoption out of the 21 bills adopted by the National Assembly. 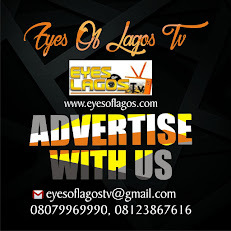 Eyes Of Lagos investigation revealed that presiding officers of the National Assembly committed a technical error during voting on the bills and as such, some of the bills could not be transmitted to the state Houses of Assembly. Recall that the National Assembly Constitution Review Committee led by Senate Deputy President Ike Ekweremadu formulated 33 bills for the purpose of the constitution amendment. But at the end of the day, both the Senate and the House of Representatives, in July, separately voted in support of 21 bills, rejected four bills and disagreed on eight bills. Out of the 21 bills passed, only 15 were sent to the state legislators. Any proposal that meets the approval of at least 24 state Houses of Assembly will be processed and transmitted to the President for assent. A member of the joint committee of the National Assembly on the Review of the 1999 Constitution as amended noted that since presiding officers allowed legislators to move motion for amendment of the bills during voting, noting that the affected bills could not be harmonised afterwards. The lawmaker, who spoke toEyes Of Lagos on condition of anonymity, explained that after the joint committee of the National Assembly had concluded its assignment on harmonisation of the bills, the presiding officers ought not to entertain any debate or amendment during voting. “They went ahead to entertain further amendment during voting, which in effect, made nonsense of the already harmonised version of the bill. “Only 15 bills were transmitted to the state assemblies, and this is because of the technical error committed by the presiding officers. Normally after the bills have been harmonised by the joint committee, there shouldn’t be further amendment. “Even if attempts were made to harmonise for the second time, it cannot be brought back to the committee of the whole for the second time, as that will amount to voting on the same bill twice. The error has no remedy, so those bills suffered ill fate,” he stated. Meanwhile, speakers of state Houses of Assembly in the six geopolitical zones have agreed to meet and harmonise position in what has been described as regional interest. The Eyes Of Lagos source revealed that while some geopolitical zones have already held meetings to this effect, other zones are yet to. It was gathered that the meeting will discuss extensively the bills that should be supported by Houses of Assembly in each geo- political zone and what should be rejected. In Nasarawa, the state House of Assembly has approved the amendment of some laws in the 1999 Constitution in the interest of peace and for good governance in the country. The speaker of the Assembly, Alhaji Ibrahim Balarabe Abdullahi, who stated this at the plenary on Wednesday, in Lafia, disclosed that the House had approved 13 out of the 15 alterations as requested by the National Assembly. Some of the items adopted include, independent candidate for election, financial autonomy for state Houses of Assembly, political age limit for President to be reduced from 40 to 35 years, among others. According to the speaker, two of the items that were not adopted during the day’s sitting would be subjected to public hearing in order to receive inputs from stakeholders in the state. He mentioned local government autonomy and the strengthening of the local administration as the two items that would be subjected to public hearing and called for support in that direction. “We want to assure Nigerians of our support towards the constitutional amendment for good governance and speedy development in the country,” he said. Meanwhile, in Benue, the state House of Assembly has voted for the abrogation of the state Joint Account Committee (JAC) to allow the local government areas financial autonomy. 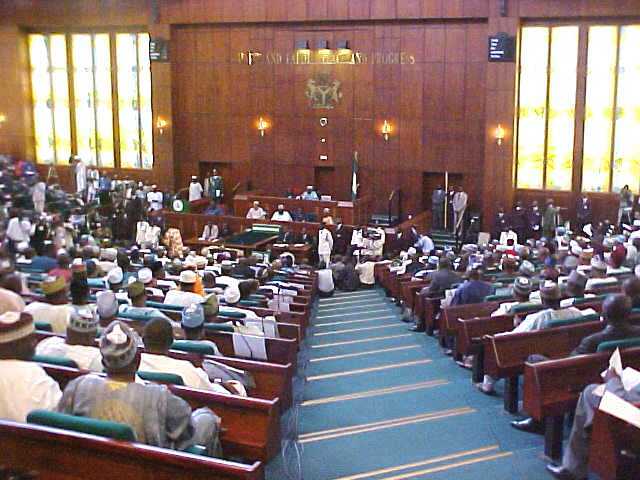 The House took the decision while deliberating on the 1999 Constitutional Amendment transmitted to it by the National Assembly. Members were unanimous that the state government should share its internally generated revenue (IGR) with the local government areas while the House will continue to appropriate funds for the local governments. Furthermore, the Benue State House of Assembly held that in strengthening the local governments, it should be led by a democratically elected chairman, deputy as well as legislative council who are entitled to three (3) year term. “The House shall not recognise any undemocratically elected local government council and as such, it shall not be entitled to any funding”. In another vein, the House voted against independent candidacy for all elective positions in the country even as it vehemently held that any person who was sworn-in to complete the term of a President or Governor, should be entitled to only one term and not a second term. Similarly, they voted for the alterations of the age qualification for those aspiring for position of Presidency and members of the House of Representatives and State Assembly from 40 years to 35. Members also supported the alteration of the Nigeria Police Force to Nigeria Police to conform to their function. Pllanning the commencement of constitution amendment debate by State Houses of Assembly, the Democratic People’s Congress (DPC) has called for the adoption of proportional representation in electing state and federal legislators. The party, in statement by its national chairman, Rev Olusegun Peters, and made available to EYES OF LAGOS, yesterday, in Abuja, said this will promote inclusive democratic practice, peaceful co-existence, development and stability in the country. He noted that proportional representation means that the number of seats won by a political party is proportionate to the number of votes received. “In election under a proportional representative voting system, if 25 per cent of voters support a particular party, then roughly 25 per cent of seats will be won by that party. It is a departure from the current winner-takes-all system obtainable in Nigeria, where a political party that scored the highest votes wins all the seats despite the low margin of votes between the winner and the loser,” he stated. He said that proportional representation enhances and consolidates constitutional governance by ensuring that smaller political parties that are able to obtain appreciable votes secure legislative seats in proportion to the votes received. “In this way, small political parties can have their voice heard in state and federal legislatures. It will encourage people to come out en masse to vote as all votes are counted and count in the overall result and seats won which represent the interest groups in the legislative constituencies”, he added. He observed that, with small political parties in various state and federal legislative houses, there would be inclusiveness in governance which is crucial to stability, unity and progress in a plural society, adding that this would eliminate the age-long cry of marginalisation by various ethnic groups and minorities within a constituency. He said that the system encourages issue-based politics and robust campaign and eliminates politics of bitterness, violence and brigandage that has impeded our frail democracy. “Do-or-die politics will be a thing of the past in the nation’s political horizon. Proportional representation voting system makes power-sharing and interest groups more visible. Including all interest groups in the legislature offers a better hope that decisions will be taken in public interest and by a more inclusive cross-section of the society. This is what a diverse country like Nigeria needs to deepen and strengthen our recent democracy”, he said. He also noted that the system is practiced in Russia, Israel, Spain, Italy, Sweden, Denmark, Finland, Belgium, Switzerland, and Norway, among others. “It will eliminate vote buying and selling as a result of winner-takes-all and reduce the cost of electioneering and looting of public treasury for campaign”, he observed. He therefore urged state and federal houses of assembly to consider and adopt in the ongoing constitutional amendment, proportional representation in election of federal and state lawmakers. Meanwhile, the DPC national chairman has congratulated the Peoples Democratic Party (PDP) for its successful elective national convention held on Saturday 9th December 2017, in Abuja. He advised the ruling All Progressives Congress (APC) to focus on its campaign promises to Nigerians and stop interfering in opposition parties’ affairs, particularly their prospective aspirants for 2019 general elections. “Opposition parties are the bedrock of democratic governance and should not be harassed and intimidated by the ruling party as it will impede the nation’s political process”, he added.